Houda Ghorbel and Wadi Mhiri are two independent multidisciplinary artists based in Tunis, North Africa. Their works cross the genres: installation, video, performance, ceramics, and architecture of space. If they had to find a common thread in their work, the commitment and the passion for art would be the poetic vectors. The projects in common question the human body, the memory, the symbolism of identities and the religious and political culture, they are constructed through the proposed space and experience. 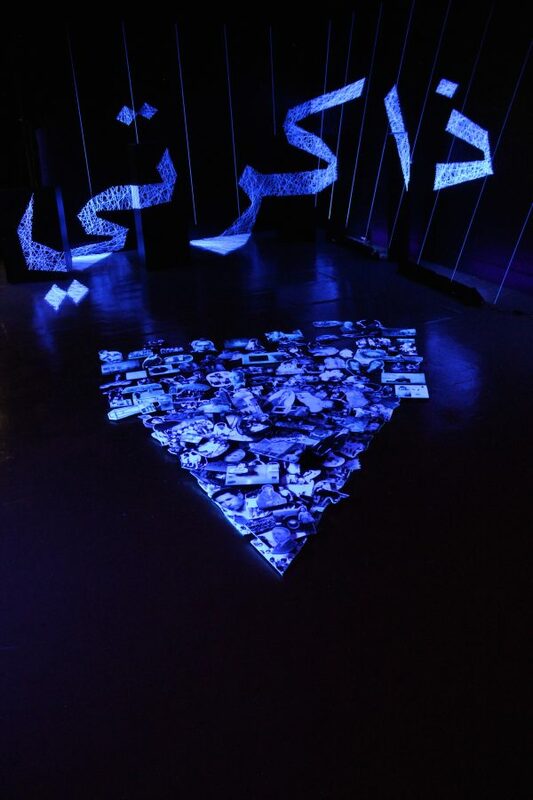 Their site specific work for //RESPONSIVE, Memory, is an installation made with wire and activated by uv light, with the aim of reviving the memory of the space which is now known as “Gallery 3”. This work is an examination of cultural and intellectual heritage, translated into a space that has been rethought and reshaped by luminous wire.